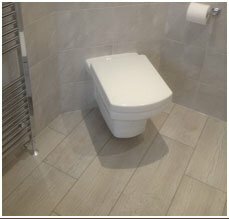 Family run local business specialising in wetrooms and bathrooms ,with over 16 yrs experience we pride ourselves in a professional and reliable services. 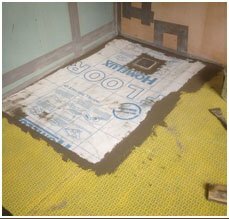 Free home visits to measure and quote , free tile samples available also specialists in underfloor heating systems and natural stone products. 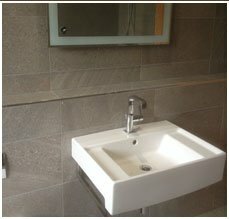 All electrical work and certified and plumbing work undertaken. Simon did an amazing job again!! Just a simple utility floor, but it looks amazing, and he left everything very clean and tidy. Brilliant communication again, always arrives on time, very efficient, and very high standard of work again. Simon did an amazing job on our bathroom. 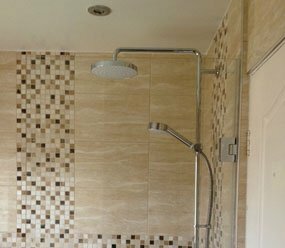 He fitted a wet room style floor, married the tiles into the existing wall, and organised all plumbing and electrics to be done within the time specified. He did all the work to a very high standard. He left the job very clean and tidy. His communication and preparation for the work was all very good also. He kept within budget and and within the time expected. I would not consider hiring anyone else to do this type of work, as Simon's standard would be hard to beat. He worked very well around the busyness of a household with young children, and was very patient. I can't fault his work at all. The floor was really uneven, taking 28 bags of levelling compound! The laminate was laid the next day. All the work was carried out in the stated time and in the budget agreed. The work carried out is outstanding and I cannot recommend Harlequin highly enough. You will not be disappointed with the service. The floor was really uneven, taking 28 bags of levelling compound! The laminate was laid the next day. All the work was carried out in the stated time and in the budget agreed. The work carried out is outstanding and I cannot recommend Harlequin highly enough. You will not be disappointed with the service. I can t recommend Harlequin tiling highly enough! 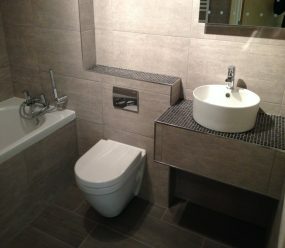 Simon refurbished our bathroom for us and we are absolutely delighted with the results! He was brilliant at giving us advice and was extremely patient as we were considering our options. His work is to an extremely high standard and nothing is too much trouble. 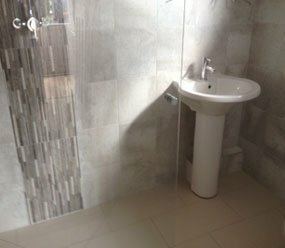 We wouldn't hesitate in using harlequin tiling in the future for bathroom or tiling!! 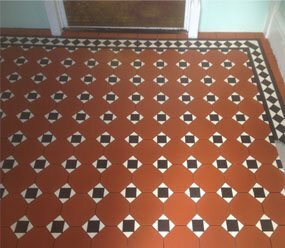 Copyright @ 2017 | harlequin tiling services ltd. All Right Reserved.